Another great Tango Magic product! 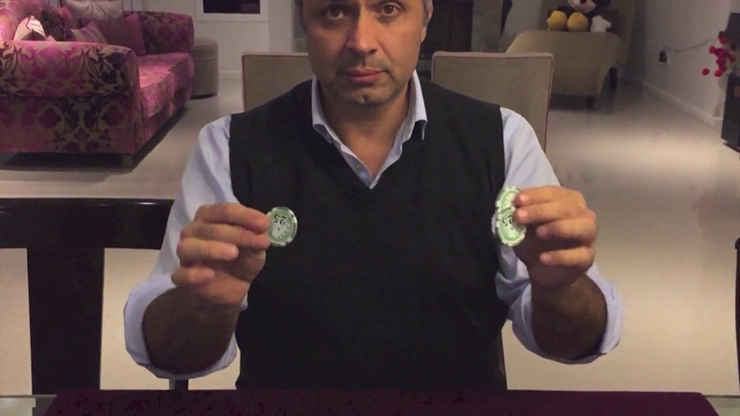 You already know the T.U.C, is the coin that allowed to win the Invention Award FISM prize to Marcelo Insua, the Tango Magic founder. Now, he is introducing a Poker Chip with the same concept, T.U.C poker chip allows you to perform hundreds of magic effect as: chips across, 3 fly coin, chips thru table, chips thru bill, matrix, etc. The set includes a blue gaffed chip, 3 regular chips and a link "T.U.C the secrets", this video include 25 routines with T.U.C perfectly explained in English and Spanish.